The primary reason people choose a community association is to protect their two greatest assets: their home and their lifestyle. But that priority can get dissolve quickly is the association assumes liability for special events that they do not need to assume such as private parties, weddings or other events using the association’s common areas such as their clubhouse or pool area. That’s why it’s essential for the community association to transfer the exposure from these special events to those individuals or entities using the amenities. Each community association makes its own policy when common areas are used for private events or parties. Although the association probably has its own insurance for the common area, why should the entire community assume the liability for a private event, especially when they are not invited? This is especially the case where the individual or entity using the facilities is not members of the association. Some associations may also set policy where members also are required to provide insurance when they use the facilities for a private event. As we all know, stuff happens when people come together for a party or event. Slips, falls, and softballs through windows will occur — just about any mishap can trigger a lawsuit that threatens the financial stability of your family or your HOA/condo association. Why should the community association assume responsibility for these possible unintended consequences? Remember, this is not your backyard; this is a common area that you own along with all your community association neighbors. Milestone celebrations: Birthday, anniversary, and graduation parties, company Christmas parties. Slips and trips. What seems like a minor fall could actually cause a back injury that puts somebody out of work — and your association is in an attorney’s crosshairs. Fender benders. If you’re using your own car to haul the wedding cake or you’re renting a van to haul the band’s musical instruments, a car wreck could get expensive. The same is true for any accidents that happen in the parking lot of your clubhouse or pool. Over-imbibing. Alcohol damages people’s judgment, leading to booze-related incidents. Property damage. You don’t have to have a Hollywood-style barroom brawl to end up with broken mirrors and damaged furniture. It could just be a conga line getting out of control. These kinds of risks may or may not be covered by the association’s master policy or the lessee of the facility’s insurance. More importantly however, who should bear the “risk” for such potential incidents? That’s why it’s crucial to consider taking out Special Event Insurance for your next community association event. This is particularly the case when a non-member uses the facility. Whether the association wants to extend this to members using the facility for a private event is up to the association to decide. If the same five residents are always having parties, and the remaining 95 never have private functions, why should the 95 subsidize the few? If it were your own backyard, you could do as you please, but remember, you share ownership with all your association neighbors. 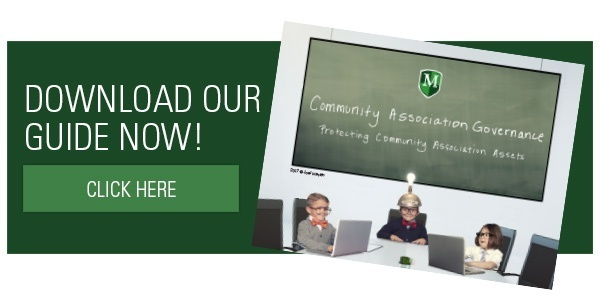 McGowan Program Administrators is a major provider of specialty insurance coverage for the community association industry and helps develop risk management tools and strategies such as the Special Event Insurance. Liquor liability. If you’re serving alcoholic drinks, you know what can happen. Hired and non-owned autos. Any vehicles involved in the planning and execution of your event could give rise to an incident. Bodily injury and medical pay. If an attendee gets sent to the hospital, should the association pay or the event organizer? Property damage. Kids pulling practical jokes on each other can accidentally break expensive collectibles. Don’t assume you can prepare for everything that might happen. Personal injury offenses. What if an inebriated guest has his keys taken away and sues your for false arrest? Or someone is defamed during an event and sues the association for allowing such an event to take place when they knew the event organizer had a propensity for such conduct? McGowan Program Administrators provides a simple-to-use online form to get an estimate for the coverage you’ll need for your event. The online form will ask you who the community association is. If it is already in the system, as you type it the association will pop up, you click it and the information is filled in for you. Otherwise you complete the few pieces of information. 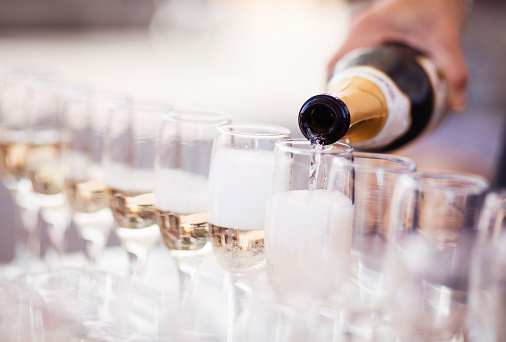 Next, you answer a few questions about the event such as the type of event, the number of attendees, whether alcohol will be served or “sold,” whether here will be a band or DJ, and whether it is a catered event. Unit owners or non-members using the facility can get this affordable insurance online with a credit card and have a certificate of insurance automatically delivered to the association to provide proof of insurance. Admittedly, getting liability coverage for your event subtracts the fun factor by a few percentage points. But you’ll more than make up for that by gaining the peace of mind that comes from knowing an accident at your event won’t bankrupt you or your community association, especially when you invite Uncle Bob who you know will be drinking and wearing a lamp shade on his head before the party is over.